Welcome to XL Lounge, the first brand to design beautiful and functional outdoor furniture offers a simple kit. Within half hours your new sofa lounge on your patio! Without screws, cutting or drilling. Affordable trendy lounge furniture with matching cushions now order online . Create your own lounge set together. The XL Lounge furniture will be delivered as easily modified for installation package you very easily and quickly can put together. Ideal for inaccessible roof terraces and gardens. And you do not have outside? Also within the XL Lounge furniture is an asset. Even with two left hands you have in your furniture assembled half hours. And there’s no screw, nail or drill to pass! The wood is a nice quality planed pine and untreated will weather under the influence of the characteristic appearance of weathered wood scaffold used to get. All furniture is available in natural or white lacquer. XL Lounge: Stylish lounge furniture for a very attractive price! 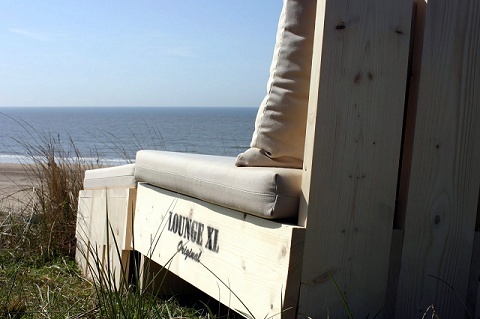 Lounge XL is an initiative of the Dutch BV and Summer Entrance. Dutch Summer focuses among others on the production and sale of designer garden furniture. She is also involved in the construction and equipment related to beach restaurants. Entrance specializes in website development.